We found out we were expecting identical twins at our 12-week scan. 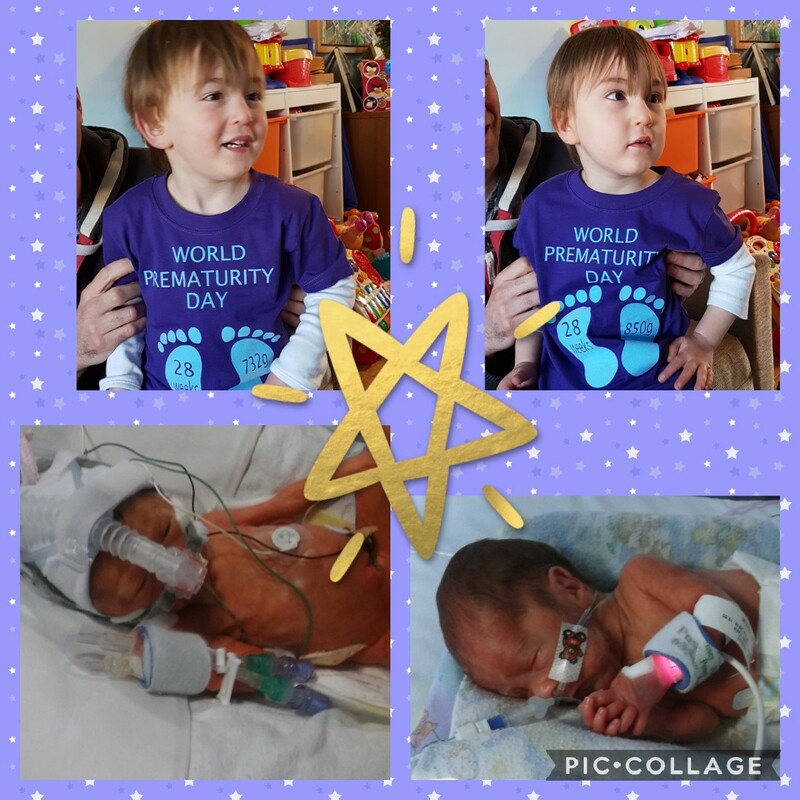 At 18 weeks were told our twins were showing early signs of Twin to Twin Transfusion Syndrome (TTTS) and at 28 weeks we were told the TTTS had deteriorated significantly and the babies needed to be delivered within the next 24 hours. I was given the steroid injections to help mature their lungs and the twins were delivered by emergency caesarean. Conor was delivered first weighing 732g and Cody was born a minute later weighing 850g. They were whisked away from me by the NICU nurses in their little plastic bags. I first saw them in their incubators when they were over 24hours old. It was only then that it hit me that they were so small and so poorly. They had so many tubes coming out of them, machines beeping all around me and Conor was on a ventilator. It was heart breaking. The following day, Cody’s blood pressure could not be stabilised, and he was transferred to Luton. We asked the hospital chaplain to baptise him before he left, I honestly thought I would never see him again. By some miracle, the first of many we would experience, Cody stabilised overnight, and Conor was taken off the ventilator. Things were looking up, but it didn’t last long. Conor’s kidneys were not working, and they started treating him for sepsis. Cody came back to Lister after 10 days and luckily after a few more days Conor’s kidneys started working. But then we were told Conor had a strangulated hernia and suspected NEC. He was transferred to Addenbrookes where they successfully managed to push the hernia back, without surgery. After 4 weeks of treatment he came back to Lister. Again, we started to get our hopes up, but when we visited one day, Cody’s head looked an odd shape. It turned out he had developed hydrocephalus from the brain bleed he suffered at birth. The Drs performed a lumber puncture to relieve the pressure on his brain, with the intention for transferring him to have neurosurgery. But our next miracle came when the lumber puncture had a permanent effect on the flow of the fluid and the hydrocephalus was resolved. 11 weeks after Cody was born, he was ready to come home, on oxygen, but he was coming come! In his second week at home he caught a cold and was suffering from bronchiolitis which resulted in a 2 week stay at Addenbrookes PICU. I think of all we had been through, this was the most terrifying of all. Meanwhile, Conor was still in Lister NICU trying to master feeding and gain weight, but on day 103 he was allowed home, on oxygen, and with an NG tube. 103 days after our worst nightmare began, we had our twins home, both on oxygen. Getting out the house with 2 babies and 2 oxygen tanks was a challenge but manageable. Over the first year we had multiple hospital admissions, but they have grown so much stronger and now, at nearly 3 years old, I hope those days are mostly behind us. They are both behind developmentally, but they are such happy little boys. They are incredible, and I could never thank the Lister NICU enough for everything they did for them.